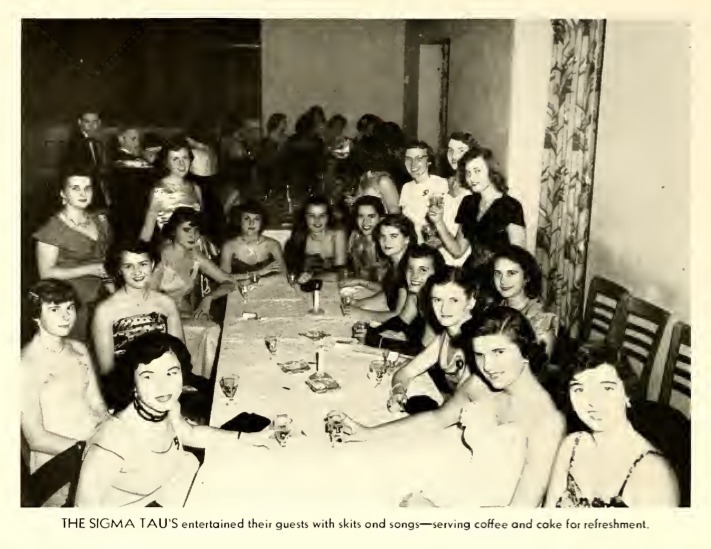 The Sigma Tau’s dinner party in 1951. This photo shows the evolution of sororities on campus. It is a representation of a sorority that has come and gone from Lake Forest.